If you followed the last blog that was posted yesterday, July 15, you remember that the current work in progress is two sisters (whom I have a picture of, for inspiration). 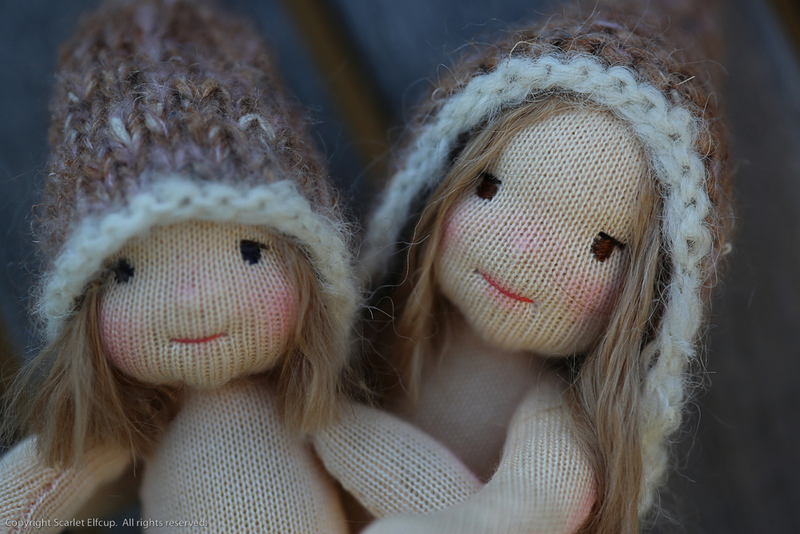 These are two beautiful grand-daughters to someone for whom I am making these custom cuties. In the last blog, you recall that I was not satisfied with the facial structure of elder sister, the first version (shown below on the right). In the picture that I was given of the grand-daughters, older sister is a pretty little girl with beautifully defined and carved cheeks. If you saw the picture, you would guess her age to be about seven or eight years. I really wanted to convey her graceful and unique facial feature. But, try as I might, the result was what you see in the photo on the right below....a face that conveys maturity for sure....but, far beyond her years. 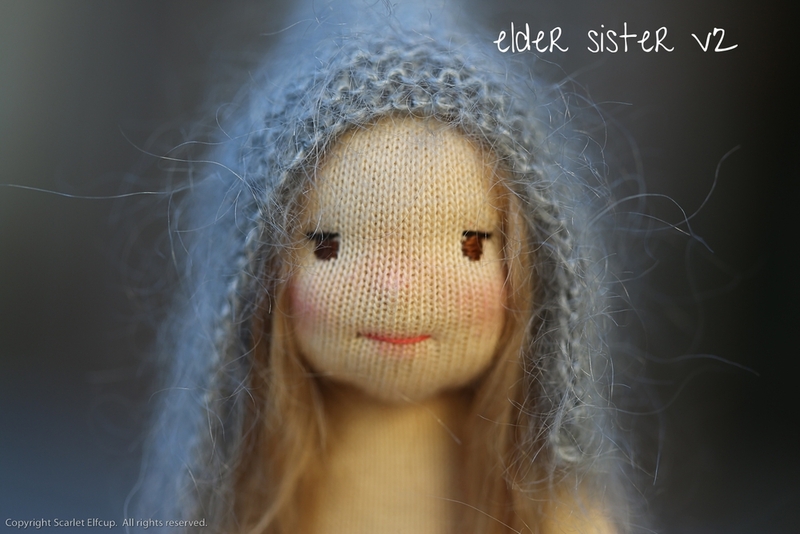 The facial sculpting of elder sister version 1 reveals eyes that are much too droopy, cheek bones that are much too high and the hollowing of the cheeks that are much too puckered...giving the sense of a much older adult as opposed to an older child. So, as per usual, when trial #1 doesn't work, we move to trial #2, then trial #3, and so on until the desired look is achieved. And what you see in the photo shown on the left below is the final result....eyes are lifted and brightened, cheeks are defined and carved but still full and round giving a sense of childhood rather than adulthood. And there we have it...two sisters in the making.